The BYOL Commvault Media Agent AMI is pre-configured to run in AWS and can be used with any Commvault architecture that recommends a media agent be installed in the cloud. You will need an existing Commserve. 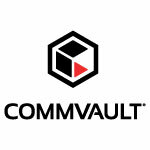 Commvault's industry-leading solutions provide seamless backup of on-prem workloads to the cloud, backup of cloud based workloads, and cloud recovery for disaster recovery and migration to the cloud. This enables true workload portability between the leading cloud and virtual infrastructure platforms in the market today. This Media Agent AMI is pre-configured to run in AWS, and can be used with any Commvault architecture that recommends a media agent be installed in the cloud.